No, not the Bloc Party song that I had on repeat for too long and now can’t listen to it, but some beautiful pieces of jewellery by Chao & Eero Jewel a Finish company. 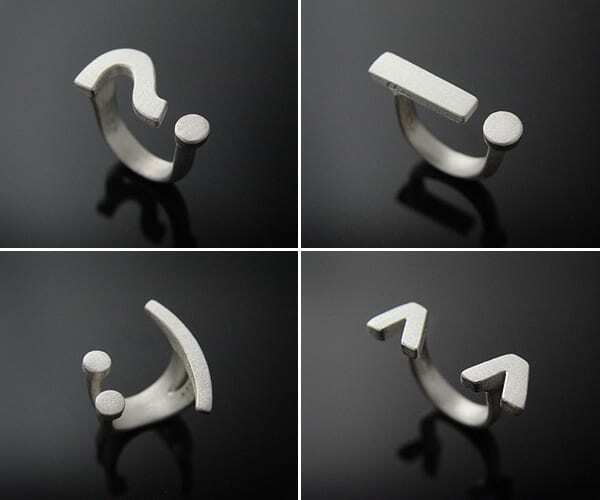 I’ve blogged before about how I love typographical elements in jewellery so of course I want all of these pieces, but here are a few of my favourites. I think my favourites are the smiley ring and the apostrophe necklace. Which do you prefer? Love the smiley ring! These are such awesome ideas!